Holiday Story Exchange at East A with VIPs! 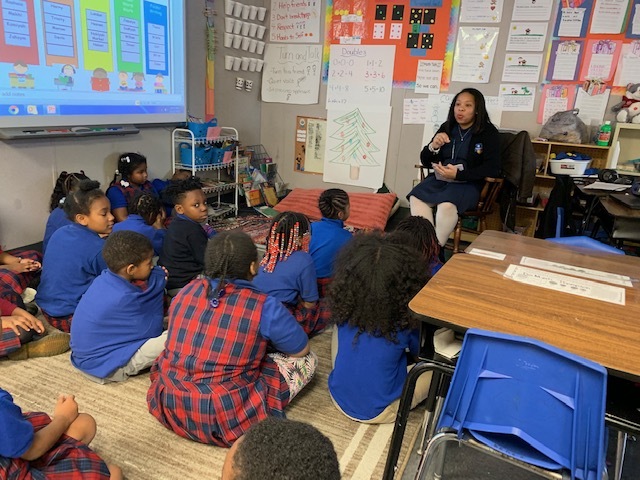 On Thursday, December 20, 2018, we hosted our Holiday Story Exchange where some VIPs (some Very Important People) dropped by to share in story time with our scholars. Guest readers included Principal Timika Mills of East A, Officer Jose Alvarez (CCCS’ Resource Officer / Chester Police) and various teachers’ loved ones. 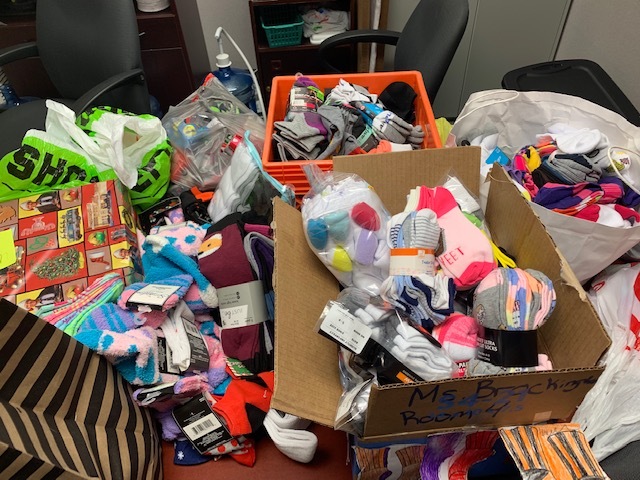 CCCS donates 700 pairs of socks to the Wesley House Emergency Shelter! 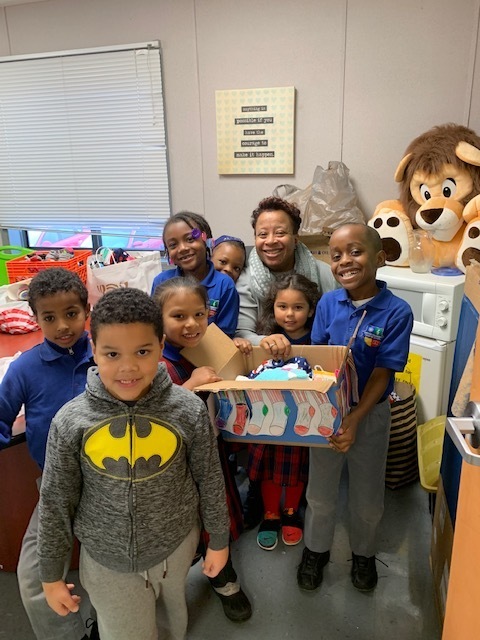 On December 21, 2018, Innovation Hall (East A) scholars donated over 700 pairs of socks to the Wesley House Emergency Shelter here in Chester, PA.
A group of scholars assisted Principal Kári Hill and Ms. Rushelle Diggs (Building Director) in preparing and packaging the items for our donation delivery.